The use of plants to treat symptoms of illness is found not only in mankind but also in many species that inhabit the planet. 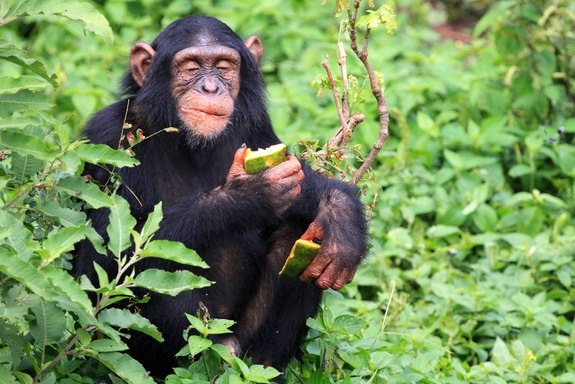 Chimpanzees have been observed to seek out specific plants to treat bowels problems. Even jaguars have been known to consume certain herbs after grooming to treat problems associated with hairballs. Plants have been used as a source of nourishment but some plants are poisonous or cause secondary effects such as diarrhea, increased perspiration, pain relief, even hallucinations (see post: Drugs Used in Religion-The New World; Drugs Used in Religion-The Old World). In many societies, oral tradition has passed down the knowledge of these naturally occurring medicines and every culture in the world has developed a body of herbal knowledge as part of its tradition. Archaeological evidence (carbon dating) from ancient Babylon shows that plants were already being cultivated as medicines by human beings over 60,000 years ago.In India, China and Egypt, written records of medicinal herbs date back over 5000 years and at least 2,500 years in Greece and Asia Minor. Sumerian prescriptions for healing using herbal sources, such as caraway seeds, thyme, myrrh and opium have been found on clay tablets. 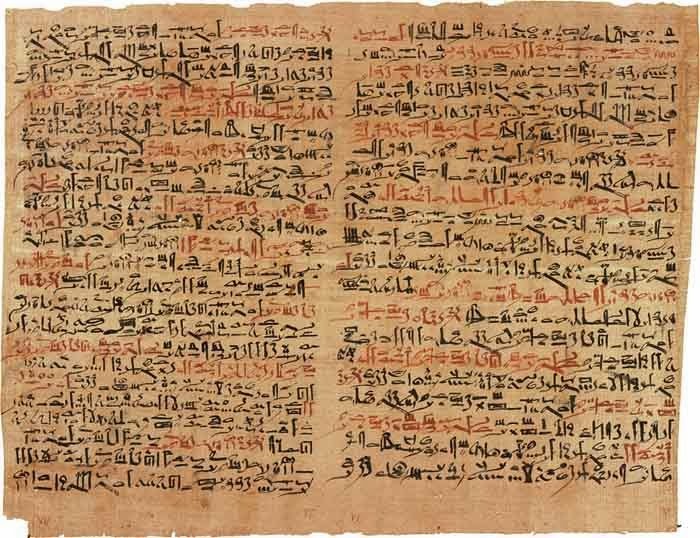 The Ancient Egyptians wrote the Ebers Papyrus which contains information on over 850 plant medicines such as garlic, mandrake, castor bean, aloe and even cannabis. 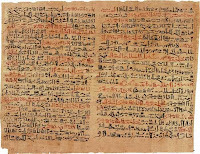 Some of the earliest records from 1500 BC describe how Ancient Egyptians used garlic (Allium sativum), juniper (Juniperus communis) and myrrh (Commiphora molmol) for medicinal purposes. By 1000 AD, on the British Isles, ‘The Leech Book of Bald’ listed herbs used to protect people from infections. By the twelfth century the Welsh Physicians of Myddfai took the more modern approach of basing their philosophy on good diet, a moderate lifestyle, and simple herbal remedies. Hippocrates (460-377 BC) the Greek physician known as the 'father of modern medicine', used only food and herbs as treatment for his patients. 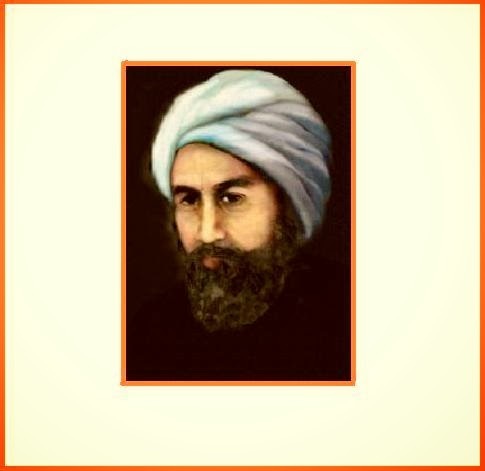 He is best known for the sayings: 'Let your food be your medicine and let medicine be your food'. The earliest known Greek herbal lists were compiled by Diocles of Carystus, written during the 3rd century B.C, and another by Krateuas from the 1st century B.C. 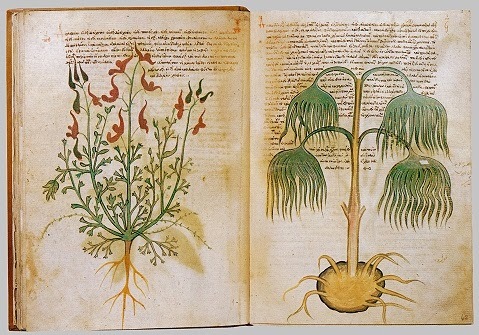 Between 50 and 68 AD The Greek physician Pedanius Dioscorides wrote a compendium of more than 600 plants, 35 animal products, and ninety minerals, known as De Materia Medica which remained the authoritative reference of herbalism into the 17th century. Another compendium of herbal sources was written by Theophrastus and called the Historia Plantarum, in the 4th century BC. It was not long before the knowledge and the use of plants as medicines came to be seen as being the property of certain exclusive groups. The early church played a major role in the use of medicinal herbs through its policy that healing could only be accomplished by God or his ministers, perhaps a first step to institute the idea of the priest as the healer (see post: The Physician, the Priest and the Politician). In the beginning, only monks were allowed to grow or use herbs for healing and also translated Arabic records on herbalism. Other herbalists were often accused as being witches and burned at the stake. In China, the emperor Chi'en Nung compiled a book of medicinal plants called Pen Tsao which included 300 herbs including ephedra (ma huang), a drug which is still used today. The mythological Chinese emperor Shennong is said to have written the first Chinese pharmacopoeia, the 'Shennong Ben Cao Jing'. 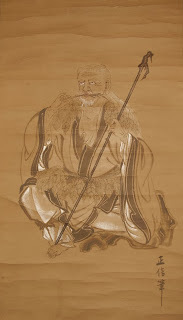 The 'Shennong Ben Cao Jing' lists 365 medicinal plants and their uses - including ephedra, hemp, and chaulmoogra (one of the first treatments for leprosy). Ayurvedic medicine, still practiced today in India dates back to the 2nd century BC. Even as early as 800 BC, an Indian writer listed 500 medicinal plants, indiginous to the Indian subcontinent. Turmeric was noted as a medicinal herb as earIy as 1900 BC. 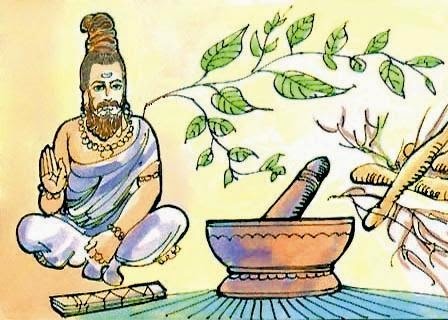 The Sushruta Samhita from the 6th century BC describes 700 medicinal plants, 64 preparations from mineral sources, and 57 preparations based on animal sources. The use of herbs as medicines has been (and still is today) a sought-after cure for illness. From the Peruvian rainforest, came the drug Cat's Claw Herb (unicara tomentosa) used by some today to stimulate the immune system; from Africa, the herb pygeum (prunus africana), shown to be beneficial for prostate disease; from Australia: tea tree oil (malaleuca tree) used as an antiseptic by soldiers during the Second World War; from the South Pacific, noni (morinda citrifolia) also thought to be a stimulant of the immune system. Herbal medicine ('herbalism') is not only the study and use of medicinal properties of plants but sometimes includes fungal and bee products, as well as minerals, shells and various animal parts. Plants have the ability to synthesize a wide variety of chemical compounds, used to perform biological functions, as well as to defend against attack from predators such as insects, fungi and herbivorous mammals. More than 12,000 such compounds have been isolated so far; a number estimated to be less than 10% of the total. This use of plants as medicines predates written human history and ethnobotany (the study of traditional human uses of plants) is recognized as an effective way to discover future medicines. Researchers have identified more than 120 compounds used in modern medicine which were derived from plant sources. Examples include quinine, opium, aspirin and the heart medication, digitalis. Many of the herbs and spices used by humans to season food also yield useful medicinal compounds. It is likely that the use of herbs and spices in cuisine developed in part as a response to the threat of food-borne pathogens. Studies show that in tropical climates where pathogens are the most abundant, recipes are the most highly spiced and the spices with the most potent antimicrobial activity tend to be selected. In all cultures vegetables are spiced less than meat, presumably because they are more resistant to spoilage. Even many of the common weeds that tend to grow around human settlements, such as nettle, dandelion and chickweed also contain medicinal properties. In many non-industrialized societies the use of herbs to treat illness is often more affordable than purchasing expensive modern pharmaceuticals. The World Health Organization (WHO) estimates that 80 percent of the population of some Asian and African countries presently use herbal medicine for some aspect of primary health care. 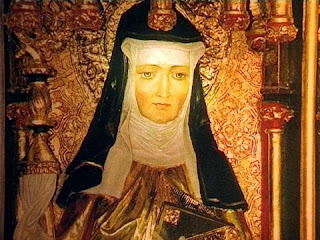 During the Middle Ages in Europe, Benedictine monasteries were the primary source of medical knowledge. Many Greek and Roman writings on medicine, as on other subjects, were preserved by hand copying of manuscripts in monasteries and monasteries tended to become local centers of medical knowledge with their herb gardens providing the raw materials for simple treatment of common disorders. Folk medicine in the smaller centers supported wandering herbalists, the 'wise-women' and 'wise men', who prescribed herbal remedies usually accompanied by spells, enchantments, divination and advice. In the later Middle Ages, women and men who were knowledgeable in herb lore became the targets of the witch hysteria. In the beginning, medicine in Europe was primarily a women’s art. 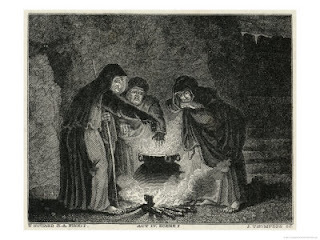 with the classic image of witches boiling herbs in a cauldron originating from this period. 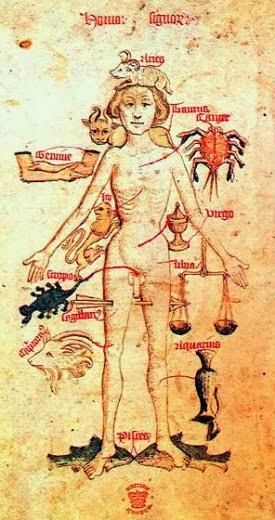 In about the 13th century, graduates of male-only medical schools and members of barber-surgeon guilds began to displace the traditional female village herbalists. One of the most well-known female herbalists of this time period was Hildegard of Bingen, 12th-century Benedictine nun who wrote a medical text called Causae et Curae. Other notable women who helped establish the worth of herbal medicine included Trotula, chairwoman of the Salerno medical school; Maud Grieve, who promoted herbal health during the first world war and Hilda Leyel, who founded the Herb Society in 1927, even treating patients while on her death bed. During the Middle Ages in Britain, many people subscribed to the 'Doctrine of Signatures', a theory which suggested that herbs had been ‘signed’ by God and that their appearance and characteristics revealed clues to their medicinal uses. Milk thistle (Carduus marianus) was believed to help promote milk flow for nursing mothers because of the milky looking white stains on its leaves. The yellow flowers of the dandelion (Taraxacum officinale) were believed to be good for jaundice because of their yellow colour – thought to echo the colour of bile. With the advent of the printing press, herbalists could spread the word about effective herbal medicines and in the sixteen hundreds Nicholas Culpeper suffered the wrath of mainstream physicians and apothecaries because he encouraged ordinary people to use simple local herbs rather than buy exotic imported remedies to cure their ills. Culpeper also translated several of the main medical textbooks of the time, which were herbal remedies and treatments, from Latin into English, making medical treatments available to the ordinary people and reducing income for those physicians and apothecaries. 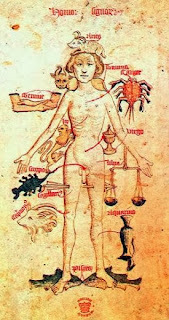 In the medieval Islamic world, medical schools known as Bimaristan appeared in the 9th century. The Arabs recognized Greco-Roman culture and learning, and translated tens of thousands of texts into Arabic for further study. The Arab trading culture had access to plant material from distant places such as China and India and herbals, medical texts and translations of the classics of antiquity were brought in from both the east and the west. Muslim botanists physicians contributed greatly to earlier knowledge. Al-Dinawari described more than 637 plant drugs in the 9th century and Ibn al-Baitar described more than 1,400 different plants, foods and drugs, over 300 of which were his own original discoveries, in the 13th century. 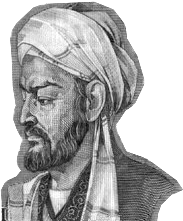 The experimental scientific method was introduced in the 13th century by the Andalusian-Arab botanist Abu al-Abbas al-Nabati, the teacher of Ibn al-Baitar. Al-Nabati introduced empirical techniques in the testing, description and identification of numerous materia medica, and he separated unverified reports from those supported by actual tests and observations, allowing the study of materia medica to evolve into the science of pharmacology. Baghdad became an important center for Arab herbalism, as was Al-Andalus (Muslim Spain) between 800 and 1400. 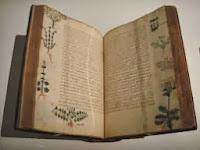 Abulcasis (936-1013) of Cordoba authored 'The Book of Simples', an important source for later European herbals, while Ibn al-Baitar (1197–1248) of Malaga authored the 'Corpus of Simples', the most complete Arab herbal which introduced 200 new healing herbs, including tamarind, Aconitum, and nux vomica. 'The Canon of Medicine' (1025), written by Avicenna lists 800 tested drugs, plants and minerals, outlining the healing properties of nutmeg, senna, sandalwood, rhubarb, myrrh, cinamon and rosewater. This Canon of Medicine remained a medical authority, used at many European and Arab medical schools, until the early 19th century. Other pharmacopoeia books include that written by Abu-Rayhan Biruni in the 11th century and Ibn Zuhr (Avenzoar) in the 12th century, Peter of Spain's 'Commentary on Isaac', and John of St Amand's 'Commentary on the Antedotary of Nicholas'. In the 19th century, when chemistry had advanced far enough to allow extraction of active ingredients from herbs, the old French word for herb, 'drogue', became the name for chemical 'drugs'. These chemical extracts eventually displaced herbs as the standard of care. There were several forces leading to the predominance of chemicals over herbs, but one of the most important remains a major issue today: the problem of reproducibility. There is little doubt that herbs can be effective treatments, if for no other reason than even through the 1970s, most drugs used in medicine came from herbs. Many of today’s medicinal herbs have been studied in meaningful double-blind, placebo-controlled trials that provide a rational basis for believing them effective. Some of the best substantiated include ginkgo for Alzheimer’s disease, St. John’s wort for mild to moderate depression, and saw palmetto for benign prostatic hypertrophy. * Herbal Medicine: subject of research for the novel The Judas Kiss - Amazon Kindle.